Let’s talk Facebook Stories. So many of my Social Super Group Tribe had zero interest when I mentioned talking about Facebook Stories. Their attitude, “No one is even using it.” But last week, finally Facebook announced that Facebook Stories, their Snapchat copy, would soon be made available to all Pages, meaning brands, yes your personal brand will be able to use this option in addition to the every day user. I know, I know what you are thinking. Like my tribe, most see it as annoying, don’t know what to postand most just think, there is no way it will ever compare to Snapchat or Instagram stories. 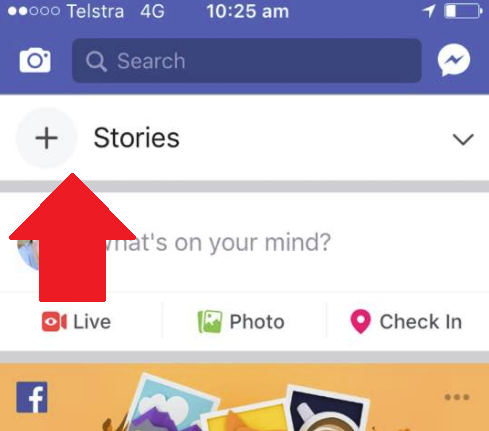 Or maybe it will – but even if it doesn’t, Stories for Pages does provide some interesting ideas and at least provided with a minute of what could Facebook stories do for my Business page? Here are five potential opportunities of Stories for your Direct Sales business page. Hey Girlbosses, lets think about this. The first thing you need to realize is that when you do a Facebook story, you get the opportunity to be right in the TOP SPOT. Yes I mean right at the place inside the app where everyone looks. Wouldn’t you want your behind the scenes footage of a day in the life of your direct sales journey to be at the top of the feed? That’s HUGE – getting your brand to the top page on Google would be a dream for most. Now you have the chance to be front and center with video and trust me, video gets attention. YOU just need to get comfortable with it. Now of course, Google is very different and people are actually searching for stuff, but still but getting your business page to the top right of your fans feeds is a big deal and could definitely generate eyeballs on what you do every day. Of course, Facebook has been testing out hiding the Stories bar for some users, which would be a definite downer. We all know if we can’t see it, we won’t click on it but let’s keep our fingers crossed. It’s unclear if Facebook’s going to make this an option for all users, but still, having something which gives you the chance to put your brand and your journey right at the top of feeds, showing up in not only your fans feeds but the ability to show up in others feeds if you make your stories PUBLIC. Yeah just think of the possibilities. Facebook recently confirmed that they’re in the process of rolling out the ability for users to cross-post their Instagram Stories to Facebook. We don’t know if this feature will be extended to brands but you’d assume it will. So if your brand is consistent as creating Instagram stories, why not try out Facebook stories. Just increasing the eye balls on your stuff. Now I don’t believe in posting the exact same content every where. Your fans want to follow you in different places to see different stuff but still…..the gained exposure could be really big to get people connecting with you and your brand. Another chance to show why you are the different consultant in your company. Now we know Facebook is putting stories every where. Most Direct Sellers just don’t “get” the concept but there is a reason. Stories, as a communications tool,is getting bigger and bigger with more and more people now using the Stories format to communicate and connect. On Instagram, 250 million people now use Stories every day, with the same amount using the Stories function on WhatsApp, while 70 million people use the option on Messenger. THAT my friends is something to think about.Stories has proven to be a very popular format, which is why Facebook’s been so keen to push it across all their apps. Organic reach on Facebook is in decline for all Pages – granted, some are still seeing growth, but in general terms, reach is well down compared to years past. 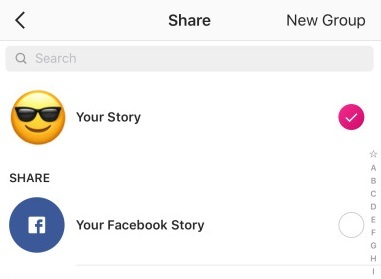 As noted, Facebook Stories are given the #1 placement in the app, which could help boost who sees you while the ability to post public Stories could provide even more opportunity for your content to appear in more user feeds. If you can create compelling, interesting Stories content, iit could provide a way for new customers, team members and potential new customers to want to watch you, get engagement, and get more of your fans coming back to your Page, and ultimately your website. This area is always a hard one for consultants, never knowing what to post but really they just want to see you, what you do and how you run your business. 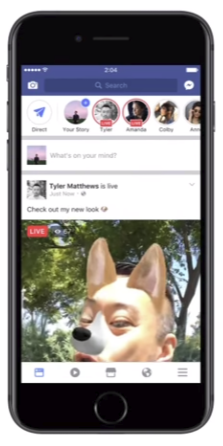 And lastly, something to consider is that the Stories gives you fun creative options, including filters, effects, video masks and live-streaming. All of these tools give you new ways in which you can share what your Direct Sales Business can provide someone else or what your products will do for someone. There is no huge budget needed or extra monthly tools. All you need is to provide value and the behind the scenes that people want to see. All you need is the Facebook app. Of course, you need to create stories that make you stand out and make you memorable. No one just wants to see what you have for sale or a request to join your team. In the social media world, we never know what is going to TAKE OFF but if you get a few more eyeballs on your business…isn’t it worth a shot to shoot some quick videos with fun filters of what you love your business so much??? I truly believe Facebook stories are worth considering, especially in your 2018 Social Media planning. Stand out, be different. Join us at Social Super Group with the Brand Boss Girls for more tips and tricks to make your business DIFFERENT.